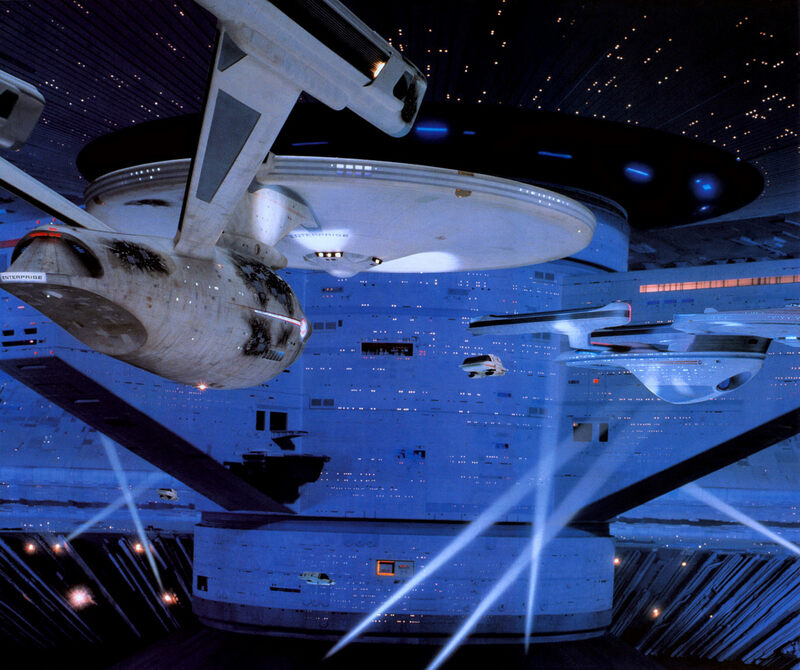 "Guess who's coming to dinner..."
The last voyage; the final final frontier was about to be reached by the original crew of the Enterprise as Star Trek VI premiered in 1991. It would be the end of an era for one crew but one more important turning point in my relationship with the series. As you may recall from Part II we had moved to Lincolnshire earlier in the year which meant adjusting to a new school and new friends. 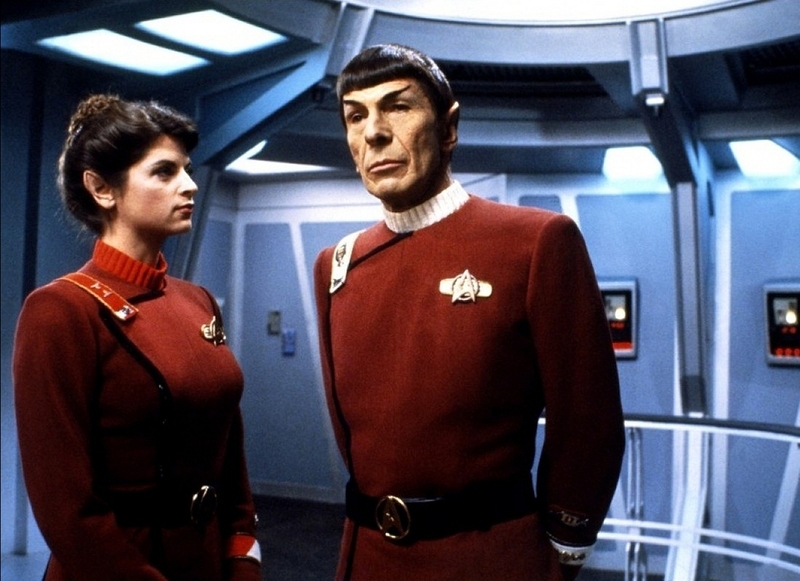 This sixth film more than anything would redefine my relationship with Star Trek. 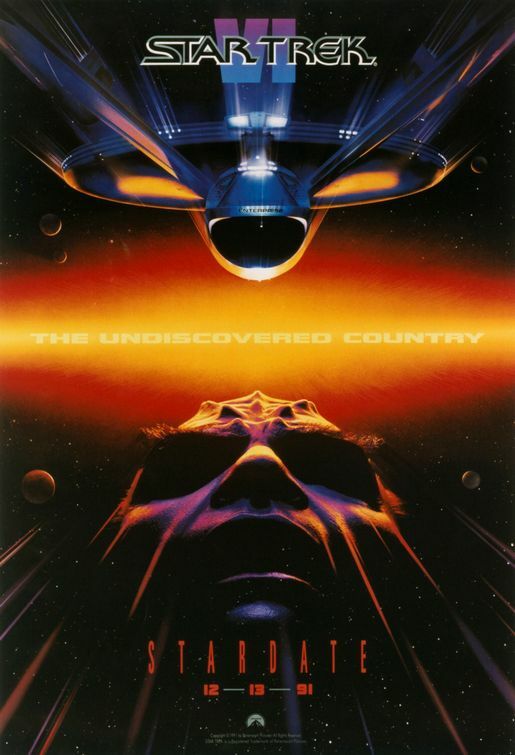 I had the movie tie-in novel, the movie magazine and would hunt out anything I could find to tell me more about The Undiscovered Country. It was an incredible film and easily vanquished any of the misgivings that The Final Frontier had raised two years previously - after all, it had an even number if nothing else. As with the fifth film, my first glimpses of The Undiscovered Country were on the late night movie show before America's Top Ten. 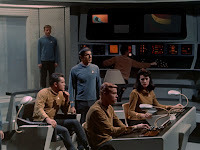 If I can go all flash-back and blurry for a second, it was the scene where Chang confronts Kirk via the viewscreen raging that his ship will "...blow (them) out of the stars!". "Signal our surrender!" 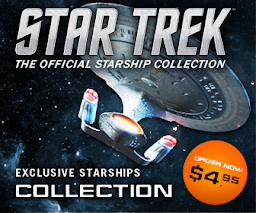 orders Kirk as the Klingons right their ship and prepare to fire; "We surrender!" It didn't take long to find out what happened next as we went to see the film at Lincoln's Ritz Cinema (now a chain-pub) one Saturday afternoon. This film had everything that The Final Frontier hadn't as well as a good smattering of Shakespeare thrown in. It was more than a fitting conclusion to the voyages of Kirk's crew with the final space confrontation between the Enterprise, Excelsior and the cloaked Bird of Prey an absolute and instant Trek classic. I bought the accompanying official film magazine (now AWOL) and the novelisation which included some great additional scenes, some of which would turn up on the extended VHS release the following year. I even managed to use it for a book review in my end of year English exam. I seem to recall I received quite a good mark and the comment of "What a surprise!" from my English teacher - in red pen of course. As previously, aside from Dad there was still nobody to talk to about Trek as I stopped being looked after during the holidays so I had to look elsewhere for Trek inspiration. 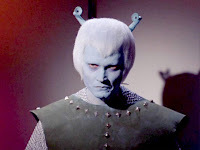 Filling holiday time with Trek viewings of the films or episodes I had recorded wasn't too difficult. One thing that it did help with was my writing. I started to write a lot more after watching Star Trek VI and getting further embroiled in the adventures of the Next Generation crew on TV. 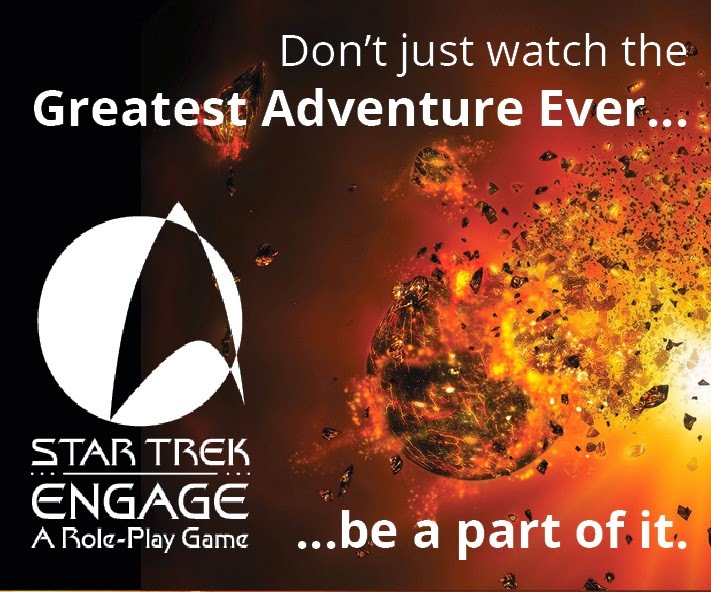 I created a whole new range of Star Trek adventures, imagining a new crew taking over the Enterprise-A and at one point even sticking a Gorn security chief and an Andorian waiter among the crew. Of course Star Trek Generations would technically make this entire series "non-canonical" with the introduction of the Enterprise-B but it was great fun to write. 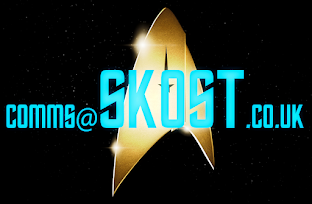 I had the ship abandoned and revamped (almost Knight Rider-style), a lot of crew changes and appearances from classic Trek characters including the Talosians for one in what became quite a lengthy series. I wrote about forty "short" stories that seemed to get longer with each one. 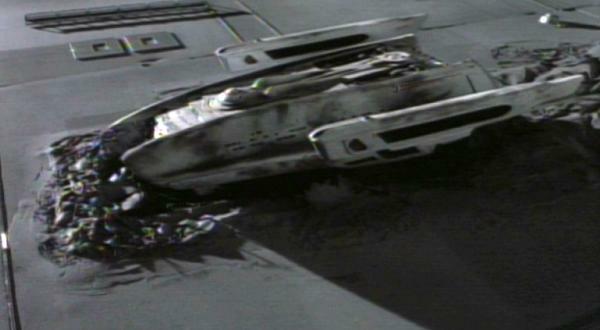 Over the years I would experiment with writing Trek stories set on moonbases, smaller ships (like the Sydney-class from "Relics" and even a Runabout, but they never amassed to the longevity of that original spurt of imagination. 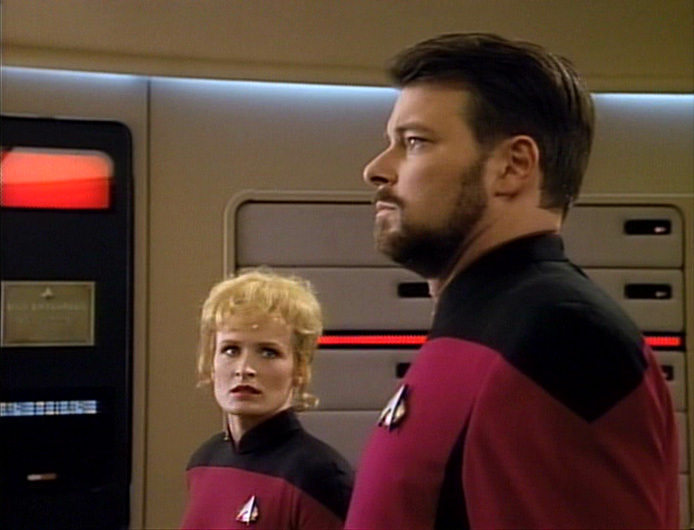 This period marked the time I was watching the third season of TNG on BBC 2 and starting at secondary school. Certain this was a big change in my life - a significantly bigger change than adding collars to the crew uniforms and removing the piping (which took me about half the season to realise). There was homework to contend with, a blazer to wear everyday, moving around lessons every hour and a lot of new teachers and classmates to get to know. 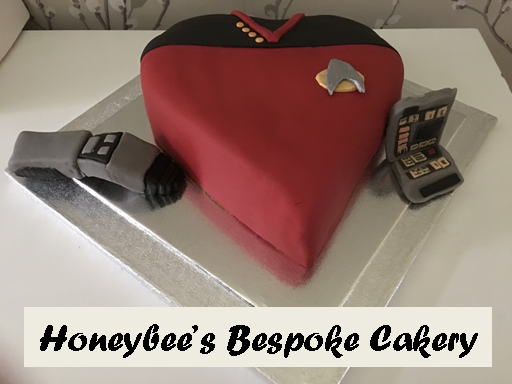 Now it had been a while since I had met anyone outside of my immediate family who was a proper fan of Star Trek but within the first year I discovered that both my English and Technology teachers were fans and Trek would get a few throw away references in lessons if I could get away with it. At some point in 1991 I managed to catch the Shatner and Nimoy hosted 25th Anniversary programme which had included not only material from The Undiscovered Country but also some tasty tidbits from "Tin Man" and also clips from the 100th episode and fourth season cliffhanger "Redemption". Season Three changed the dynamic and was a massive improvement over the previous two seasons. The writing was tighter, the characters more comfortable and the show had a spring in its step from the off. Oddly one memory of that year is getting told off for something by my mum and being banned from watching that week's episode. For reference it was "Booby Trap" and it took about two years before I worked out which installment it was and got to see it off SKY's daily repeats. This was also true in the case of "The High Ground" which was banned on its first airplay due to the Irish reunification reference. The '89-90 season was one good episode after another and it just seemed to flash by in a matter of weeks while I went through my first year at "big school". 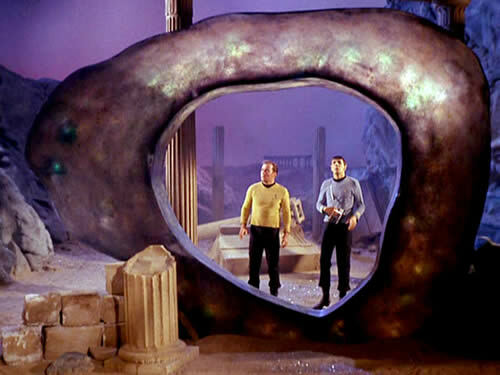 When we reached "Yesterday's Enterprise" I was totally addicted and at that time it became both my and my dad's favourite episode - for me that lasted only a few weeks because of a certain cliffhanger; "The Best of Both Worlds" landed and Trek would never be the same again. 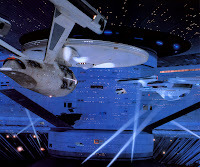 The Borg were pure focused evil, determined to make the universe in their image and only the Enterprise could stop them. To this very day it is still in my eyes THE best cliffhanger any generation of Star Trek has ever produced bar none and is in my top three favourite episodes of all time. I was bowled over in every sense. The story was incredible; I "got" the Riker sub-story about his future (linked to Michael Piller's own job choices); Picard's capture by the Borg was overwhelmingly dramatic; his transformation into Locutus even more so. 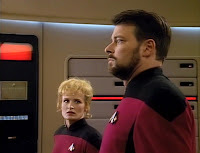 Nothing like that had ever been attempted before - the captain was truly in danger and by the end of the first part there really seemed to be no way back, The situation was dire, all was lost and it was left to Acting Captain Riker to make the biggest decision of any generation of Star Trek ever; save Picard or save Earth; "Mr Worf........fire." Sadly not. As Picard gazed out of his ready room window, beginning to come to terms with his recent rescue and return to humanity, the credits rolled and the BBC announcer informed us that TNG would be returning in the near future. That was not what we were expecting. Actually it was both good news and bad news because while we lost Picard and his crew from the small screen we gained a chance to see the complete original series including - for the first time ever on UK TV, "The Cage". Oddly we were in Cornwall for the day on which "The Cage" aired which seemed ironic that I should be back in the same part of the country only a few miles from where I had seen my first few episodes of the original series. In fact it was probably in a hotel in Truro to be exact. I won't dwell on this too much as it's been done to death but for me it was so different to what came after it and it was hard to believe that this was how it all started! There's a certain familiarity to it but in some respects it's quite far removed from the series that we came to know. If they thought this was cerebral who wonders what they would have made of stories such as "Frame of Mind" for instance?! So the next 79 weeks flew by and I was treated to the whole of the original series in airing order. I remember a lot more from this run through than from any previous showings. Maybe it's because of age or maybe it's just because of my passion for the show by this time. I recorded a fair few episodes from this run including my beloved "The Tholian Web", the Gorn-bashing "Arena", the mesmerising "City on the Edge of Forever", crossing universes in "Mirror, Mirror"; in all honesty there weren't many that I didn't enjoy and I could easily watch them all over again (and no doubt will!). What amazed me about them was the quality of the series and just how well these stories had stood up to the test of time. It was truly a classic in every sense. While this was happening on terrestrial TV, up in the sky there was something else going on; SKY had acquired the rights to The Next Generation and they, not the BBC would be showing Season Four. From my reckoning this puts us around 1992. A significant point in my Trekollections because it was the year I received the five-movie box set for Christmas. Now usually at Christmas we didn't watch TV on the Big Day but we'd had quite a tough few weeks in the buildup and I was allowed to watch "The Motion Picture" while I waited for my turkey fritters and chips to cook. Yep, it was definitely an unusual year! Recalling this snippet also made me remember that several years before, most likely while we were in Cornwall, I had seen "The Motion Picture" but the recording had chopped the last ten or fifteen minutes. While I hadn't missed much of note, the arrival of this box set marked the completion of a lengthy journey. 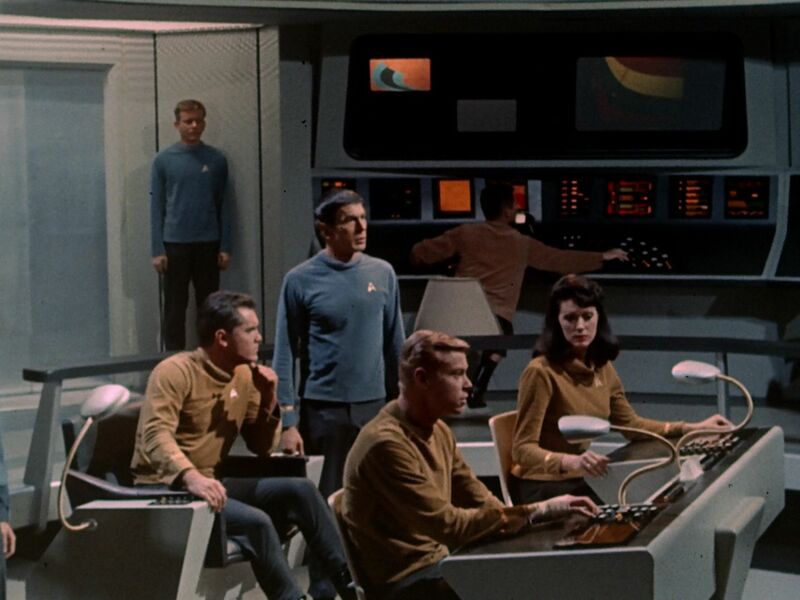 All five were in widescreen which added a whole new dimension to my viewing; as did the additional scene of Spock and Saavik speaking in Vulcan after Kirk arrives on the Enterprise in "The Wrath of Khan" - but there was one other significant thing about it. For those of you who have been tracking my story you will know I have something of a challenge with the third film. Well, early 1993 meant I got to see it thanks to my rather generous grandparents' Christmas present. I wasn't disappointed and I am happy to admit that I love "The Search for Spock" as much as the even numbered installments. It has a lot going for it - the theft and destruction of the Enterprise, Scotty and the Excelsior, the first appearance of the Bird of Prey and of course Spock's rebirth. What's not to like? It did seem as though it had been a long time coming to get through it and at times I was probably keeping my fingers crossed against any power cuts or chewed video tape. Neither happened which brought about an end to my Trek III curse! 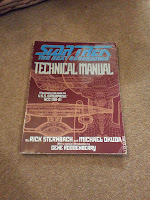 My birthday a few weeks before Christmas in 1992 meant that I became the proud owner of my first "proper" Star Trek book; the TNG Technical Manual. What a book. 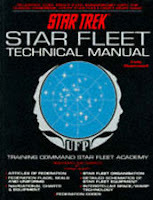 For the first time I found out that the Enterprise-B was an Excelsior Class ship, exactly how a phaser worked and what setting would cause major geological disturbance (16 if you must know), how to pilot a starship, what shuttles were carried in the three bays; the list is endless and the book was pretty exhaustive on every subject. The photo here was taken a couple of weeks ago. The corners are a bit worn but that's mainly due to excessive reading over the years. It's a big thank you to Messrs Sternbach and Okuda for this one because once I'd digested each and every page of this tome I was on the look out for the next opportunity to expand my Trek library. For the same birthday I also received the Star Trek Starfleet Technical Manual and at the time I didn't realise how BIG a book this had been when it was produced. 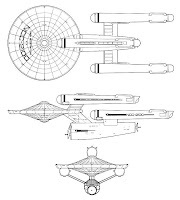 As with its later TNG counterpart, it was packed with diagrams and data on just about everything but leaned much more to the schematic side while Sternbach and Okuda included a good deal of explanation with each item and picture. 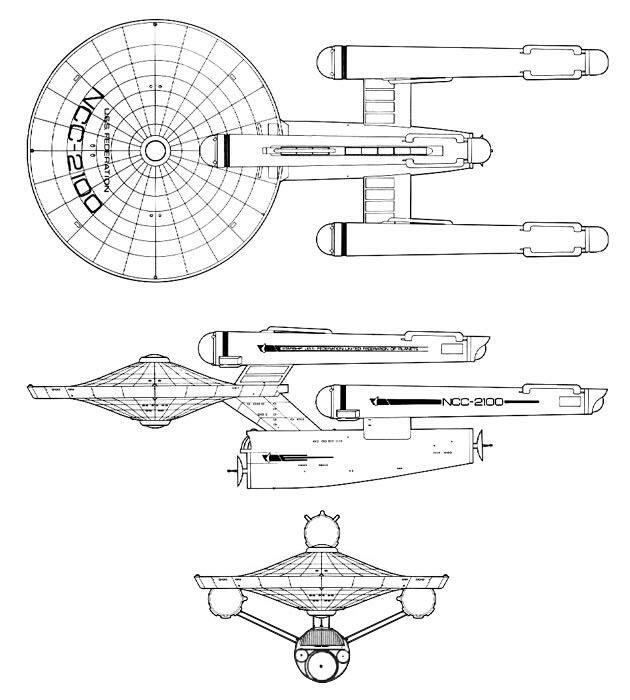 The Starfleet Technical Manual really opened up the Kirk era for me with the deck by deck plans of the Enterprise and the original series uniforms and props. It was easy to get lost in the intricacies that Franz Joseph had covered on every page even down to the listings of all the ships in service for each class that "existed" in the Star Trek universe. The Dreadnought still looks impressive today (below left). Both books were impressive pieces to read and only increased my hunger for more. These days there are very few Trek reference books produced in comparison to the number that were written/available back in the 1990's. Then, there seemed to be at least two or three every year and all were of excellent quality and essential purchases as we shall see. 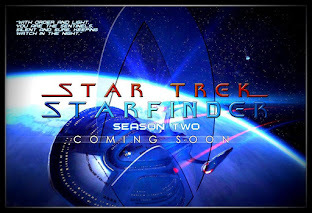 I was never a big reader of the novels at this point as I was only interested in things that were canon - but anything that could tell me about the background of the show, the actors, Roddenberry, effects, the episodes, trivia, artwork or tech specs was purchased and devoured in a matter of days (or more likely hours). One of the more curve-ball tomes I bought was the Nitpicker's Guide for Next Generation Trekkers. Some great trivia in there and certainly made rewatching a few episodes interesting the second or third time over. As an admission though, it's not been until recent weeks that I've finally tried reading Trek fiction again and have been more than pleasantly surprised (see my review on The Persistence of Memory if you're wondering!). Star Trek was still giving me that way out. I wasn't the most popular kid in school (and I don't think my admission that I liked the show helped here). When I was younger, the reason I spent so much time endulged in Star Trek was because I was had a non-existent social life outside of school until I was about 18. Partially this was due to moving around the country and never really having any long term friends or losing touch with those that I did make. The other side of it was that I had the (mis)fortune of over-protective parents. It felt like I was on lockdown outside school and in the evenings. I was unable to interact outside school with anyone I knew. Schoolwork took 100% priority in the evenings until it was done, no matter what and between 1991 and 1998 homework, GCSEs and A-levels took precedent over everything. I became quite competitive about results and didn't like to come second (only now am I able to stop doing this all the time). I had to be the best and would beat myself up mentally about not getting top marks. I suspect this didn't enamour me in the eyes of my peers and no doubt came across as a bit of a boot-licker and an arrogant so-and-so. 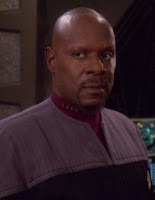 I looked to Trek in some respects for role models particularly in the more commanding positions - the Kirk's, Picard's and Sisko's - because that's what I thought I should be doing. That was the position in life I believed I was destined for. In hindsight I'm probably more suited for the first or second officer role! This wasn't intentional however. Over time, because I thought I was better than everyone else, it's a role I grew into and it became the person I was then. I know now I wasn't but it took a long time for things to change; we're talking years, I imagine this will become more evident as we get further into the next steps of my story. While my friends were out getting worldly-wise thanks to more liberal-minded parents I was home and having to make my own entertainment. It wasn't that I didn't want to go out, I wasn't allowed the opportunity which had some less than welcome effects after I left school in 1998. 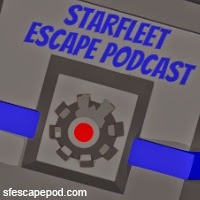 Star Trek became even more of an escape - if I couldn't get away from home physically then there was always another way and I would while away time reading about it, watching it or writing about it. I would spend hours devoted to personal research and became thoroughly obsessed with it 24/7. As you can see my interest was growing just as I was and I was going to need a lot more space for storage very, very soon - and that seems like a good place to pause for thought. 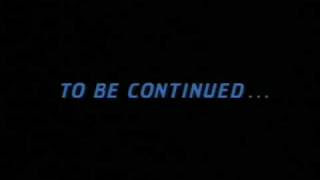 We're now somewhere around the early 1990's and on the cusp of what was probably the most Trek saturated few years of my life what with the range of episodes, films, books and everything else that would be on the way. You can also read Part 1 and Part 2 of my Trekollections here!